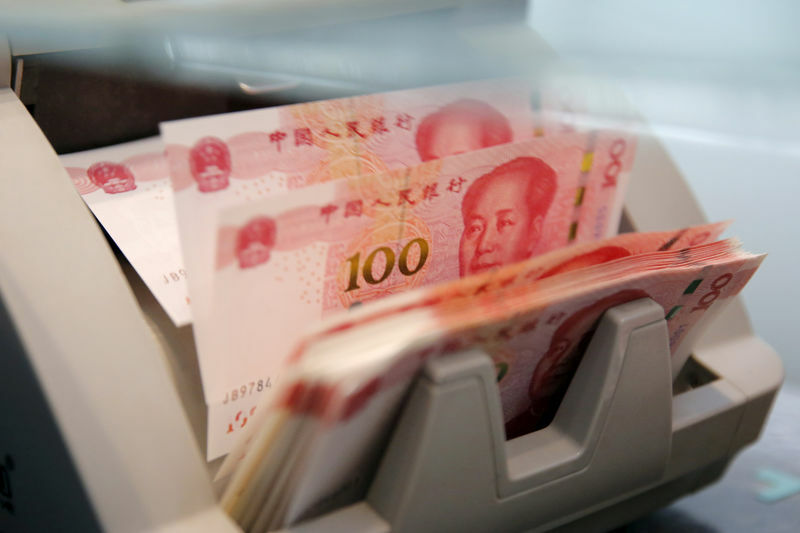 BEIJING (Reuters) – China will be able keep its yuan currency basically stable due to the country’s healthy economic fundamentals and ample foreign exchange reserves, Pan Gongsheng, a vice governor at the People’s Bank of China, said on Friday. The central bank will adopt macro-prudential measures to stabilize market expectations and take targeted measures to cope with market risks, Pan told a briefing. “The fundamentals of China’s economy are healthy, the macro leverage ratio is basically stable, and the financial and financial risks are generally controllable,” Pan said. China has sufficient foreign exchange reserves, he said. “These factors will provide a fundamental support for the renminbi (yuan) exchange rate to remain basically stable,” Pan said. Reserves stood at $3.087 trillion in September, having fallen l $52.9 billion in the first nine months of 2018 – with 43 percent of the drawdown happening last month. Recent yuan falls reflected market supply and demand, and global market volatility, Pan said, reiterating that China will not engage in competitive currency devaluation to cope with trade frictions arising from the ongoing tariff war with the United States. The yuan hit a fresh 22-month low against the dollar on Friday, as a weaker-than-expected central bank fixing ramped up market views that authorities would allow larger declines in the currency. The yuan has lost over 6 percent against the dollar so far this year. Chinese authorities have accumulated rich experience and developed policy tools to cope with currency market volatility, Pan said, warning speculators who might seek to short the yuan. “For those who are trying to short the renminbi. We are very familiar with each other as we fought hand to hand a few years ago. I think it’s still fresh in our memory,” he said. The authorities will actively deal with external risks caused by trade frictions, he added. Pan went on to say the central bank will improve the policy transmission mechanism to boost lending for small and private firms. The central bank has provided 10 billion yuan ($1.44 billion)in initial funding for a scheme to promote private firms’ bond issuance, he said. Pan said total funding under its recent scheme – an instrument to promote bond financing for private firms – could reach 80 billion yuan based on an assumed leverage ratio. The PBOC has pledged to promote bond financing by private companies and provide initial funding to institutions that can help enhance the credit profile of private firms that are operating normally but face temporary liquidity difficulties.